Both first person shooters have announced recently that they are doing a crossover with both items and a special bundle where you can get both games. We’re proud to announce the first collaboration of 2017 which is with our ninja friends at Flying Wild Hog. Did you ever want to dash and slice through mutated fleas or other demonic creatures? In that case, you should definitely check out “Shadow Warrior 2″ which from today on has Dallas waiting for you as a Co-Op Skin! You heard right, Dallas entered the Ninja Universe and is ready to kick demonic asses in style with his AMCAR or Money Bundle! In Shadow Warrior 2 you will be getting not only the Dallas mask but also a couple of weapons that have not been detailed. 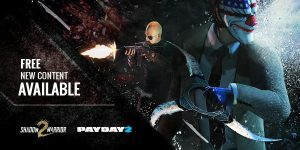 As for the Payday side of things, the Heisters will get 2 demon and 2 ninja masks and the Kazaguruma (a spinning tri-blade) melee weapon for them to take care of the guards. 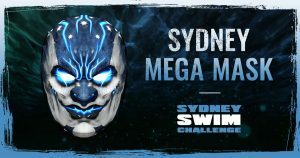 And it was announced a surprise 5th mask called the “Sydney Mega Mask” which is a reward for players who participated in a charity event. Remember when we all helped Georgia “Sydney” Van Cuylenburg to reach her charity’s goal? After Almir already delivered by cutting his beard of it is time for phase 2, the Sydney Mega Mask. Everyone who has donated will get a key to unlock their mask! Once more, thank you for your help, you are the best! And one last thing is that with this announcement, there were also the notes that both games will be getting bug fixes. The bigger of which comes from Payday 2, with an almost 1 GB worth of bug fixes and community-requested features. The full details you can read on the respect games steam pages.